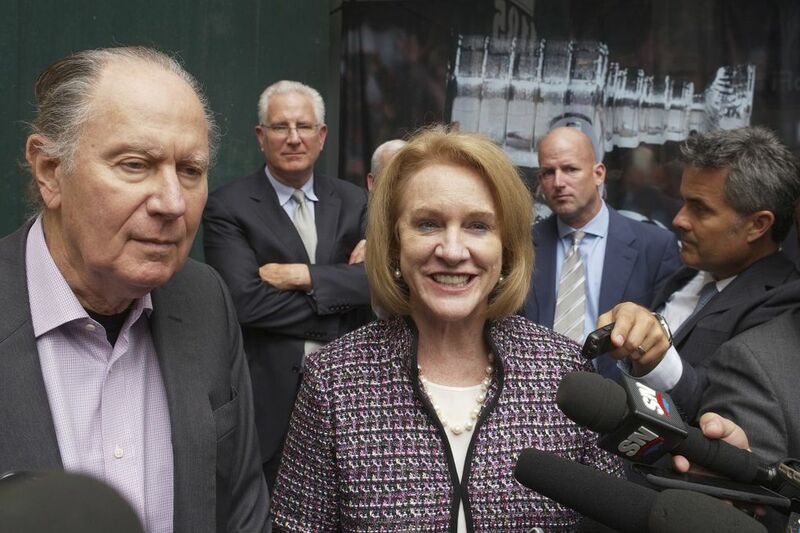 The Seattle delegation left little to chance in its pitch to NHL owners in New York. Mayor Jenny Durkan sealed the deal with assurance that KeyArena would be ready for 2020. 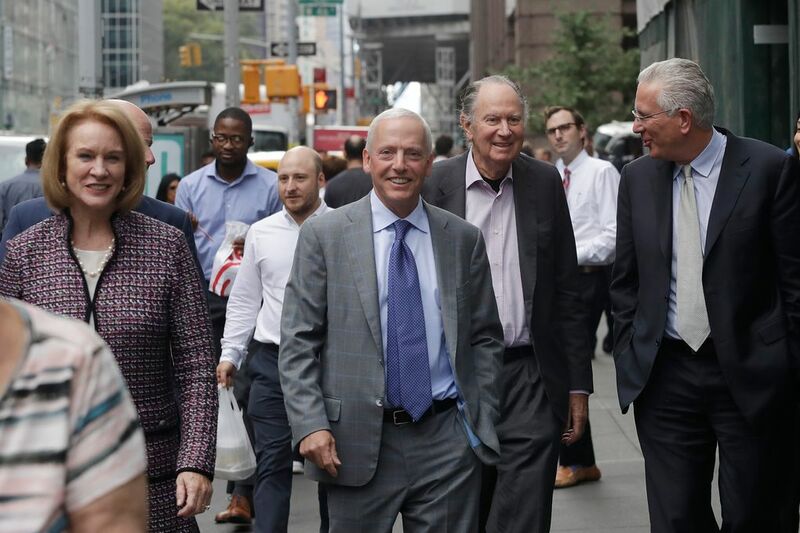 NEW YORK – Hours before delivering a winning pitch Tuesday, two key members of a Seattle contingent seeking an NHL expansion franchise plotted strategy over breakfast. 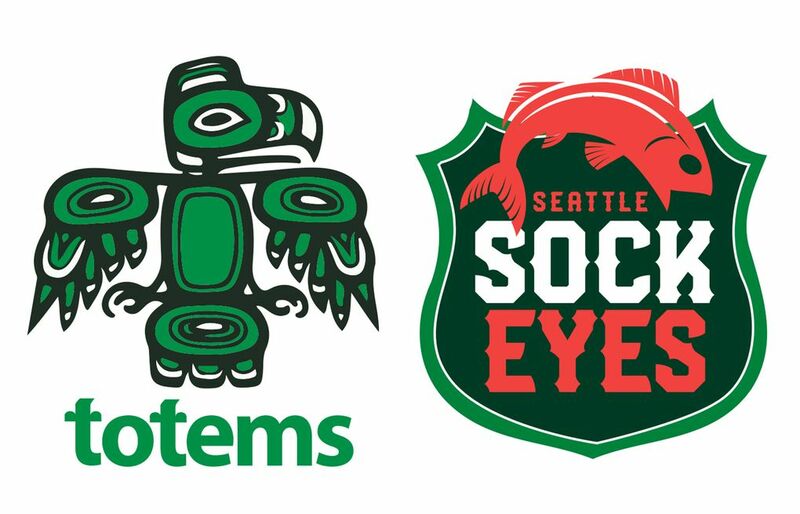 Two finalists remain in The Seattle Times' NHL team name voting challenge: the Seattle Sockeye vs. the Seattle Totems. Which name will win out? Vote now. We'll announce the winner on Oct. 8. NHL Seattle president and CEO Tod Leiweke, still sweaty from a subway ride over from the upper-east-side home he owns, sat in a Midtown Manhattan eatery with an intently listening Seattle Mayor Jenny Durkan. She had flown in Monday night and missed an afternoon staging session by other Seattle delegation members to work out the tone and timing of their hour-long presentation to the league’s all-powerful executive committee. So Leiweke, coffee and food flowing, brought the group’s critical “ringer” up to speed. The Seattle delegation had felt Durkan would play the key role in persuading the committee to recommend that the league’s full 31-member board of governors approve their expansion application at a December vote in Sea Island, Ga.
By Tuesday afternoon, after the committee had indeed recommended and forwarded the bid by a 9-0 count, NHL commissioner Gary Bettman left little doubt about the role Durkan played. “I think Mayor Durkan did an excellent job of presenting the case for Seattle as a city and as a base of enthusiasm for NHL hockey,” Bettman said. For now and into next year, the league will monitor the progress of KeyArena’s construction timeline to see whether work can be completed in time for the 2020-21 NHL season. The Oak View Group, headed by Leiweke’s brother, Tim, and handling the massive renovation, says it can have the renovation finished by that season’s October 2020 start date. Bettman said that’s the league’s goal as well. He said speculation that a potential NHL lockout in September 2019 might delay a Seattle launch until October 2021 was overblown. Bettman’s remarks came after a four-hour meeting of the full NHL board of governors Tuesday at a hotel several blocks from the league’s head office, where the morning executive committee meeting with the Seattle delegation had taken place. At that afternoon gathering, governors were apprised of what the executive committee had heard and were told it was recommended they support the expansion bid at their meetings Dec. 3-4 in Georgia. Though the December vote requires 75 percent approval to pass, the board of governors has never failed to approve an expansion recommendation by its executive committee. And emerging from the afternoon board meeting, a handful of governors said the vibes in the room were largely supportive of the Seattle bid. 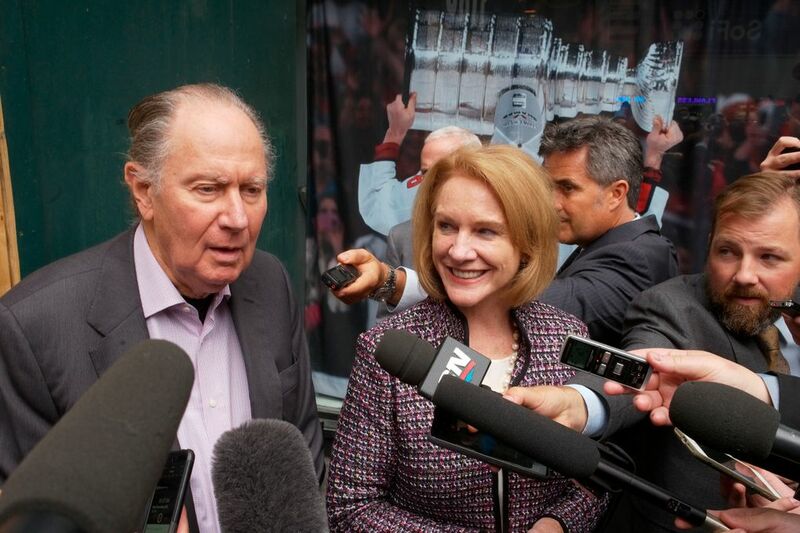 OVG and NHL Seattle count many friends and business partners among the league’s governors. Executive committee chairman Jeremy Jacobs, the influential Boston Bruins owner, has a deal for his family food and beverage business, Delaware North, to become lead concessionaire at a remodeled KeyArena. Still, members of the Seattle delegation had left little to chance. They had planned to keep their presentation fast-paced with multiple speakers covering an array of topics. Billionaire David Bonderman led off, detailing in his soft-spoken manner his days attending the University of Washington and his plans as the future team’s majority owner and managing partner. “I used the opportunity to tell them my story,” Bonderman said. From there, the more effusive Tod Leiweke spoke about the Seattle market, his experience as a Seahawks CEO and Sounders vice president and the area’s fan base. Tim Leiweke told the committee about how the KeyArena renovation would transform it into one of the world’s most compelling sports venues. From there, newly imported minority team investor Len Potter – a longtime business associate of Bonderman – went over the specifics of the team and arena project’s financing. From there, Tod Leiweke spoke to the committee again, followed by Hollywood producer Jerry Bruckheimer – one of the main team investors with Bonderman – brought in for some closing wow factor. But between the pitches given by the two Leiweke brothers came Durkan as the presentation’s third speaker. She was tasked not only with introducing a slide show and video about Seattle and its sports scene, but in talking up the city as enthusiastically as she could while sounding genuine in her ability to make things happen. Durkan knew she had to convince the executive committee that a 2020 start date is possible. That Seattle, a city the league had become wary of over the years for an agonizingly slow bureaucracy, was capable of getting things done in short order. Upon finishing breakfast, Durkan and Tod Leiweke returned to her Midtown hotel for some quick freshening up 45 minutes before they were expected at the league’s offices. Standing in the hotel’s air-conditioned lobby, they watched Hall of Fame baseball player Reggie Jackson stroll by quietly and unnoticed in street clothes. By then, both used to high-stakes drama in their chosen fields, the magnitude of the New York stage they’d soon perform on was hitting home. As to how she’d make her case to the NHL executive committee, she smiled and quipped that it wouldn’t be difficult. From there, she and Leiweke hopped in a chauffeur-driven car and made their way to the league’s offices, where they met up with the rest of the delegation in a conference room and waited to be summoned. And once they were, they made it count. He praised his morning breakfast companion, Durkan, for her “enthusiastic presentation” that helped sway the committee. As for Durkan, she said the work is only starting, and she’s committed to getting KeyArena completed on time.